Narritjin Maymuru’s life encompassed some of the major events of Australian and Northern Territory history. He was a great intellectual and ceremonial leader. Within his community he was often called on to assume the role of mediator, bringing disputants together. Above all he was an artist with a passion for making things. He would work late into the night while his family slept, bent double over a sheet of bark, painting by the light of an unshaded bulb. Narritjin’s earliest surviving paintings and carvings were completed for the anthropologists Ronald and Catherine Berndt in 1946, and in 1948 and 1952 he produced a number of works for Charles Mountford (who led the American– Australian Scientific Expedition to Arnhem Land in 1948). During the 1950s Narritjin painted very little, and mainly produced polished hardwood carvings. However, by the early 1960s he had become one of the most prolific and renowned Yolngu artists. In 1962, Narritjin suggested that two great painted panels should be placed on either side of the Yirrkala church altar, and was one of the artists who painted these extraordinary works. 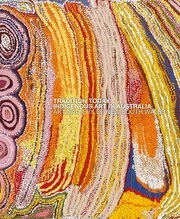 In 1963, Narritjin Maymuru and a group of Yolngu dancers performed in Sydney and Melbourne, in a tour organised by the Elizabethan Theatre Trust, and a solo exhibition of Narritjin’s paintings was also held in Sydney. Narritjin developed a close relationship with the Melbourne art dealer Jim Davidson, and his art became well represented in museums and galleries in Australia and overseas, in particular in the United States. In 1978, with his son Banapana, Narritjin was jointly awarded a Creative Arts Fellowship from the Australian National University, Canberra. 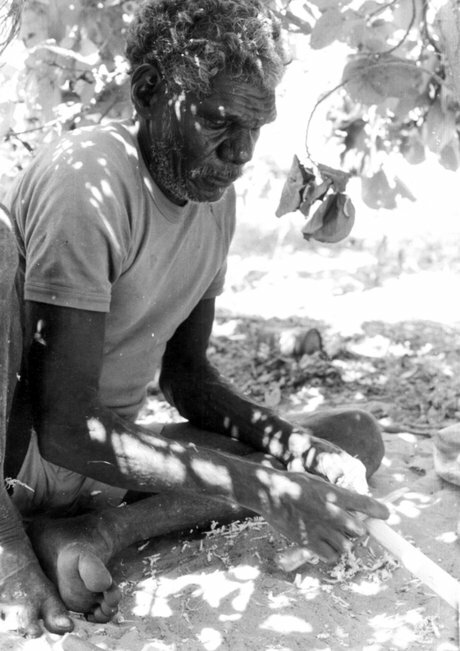 Narritjin Maymuru was an innovative artist, although he always worked within the canons of Yolngu art. His paintings are known for their complex symbolism. Many of them represent ancestral stories in narrative form, and symbolic connections are often conveyed by subtle visual puns. Similar elements occur across the paintings, with different but related meanings. Narritjin’s art is characterised by its diversity, intricacy and great attention to detail, as seen in Djert (The sea eagle) , c.1958. Yet within his corpus there are also works of profound simplicity, in which he condenses imagery into key motifs. Narritjin Maymuru saw art as a means of communicating ideas and knowledge – to an audience outside his community as a means of widening understanding of Yolngu culture, and to younger generations of Yolngu as a way of ensuring the continuity of their ancestral law.